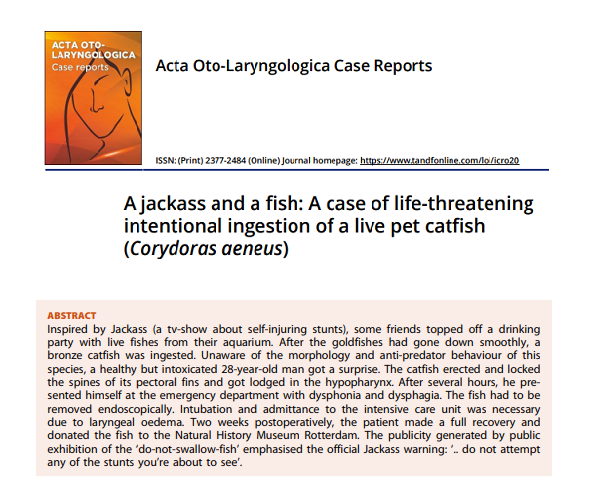 That’s a serious journal article about a seriously un-serious drunking game.. And if you can’t read the fine print, not to worry — the two top articles below will brief you nicely..
LiveScience, A Drunk Man Swallowed a Live, Venomous, Spiny Catfish. Zen art poses a conundrum. On the one hand, Zen Buddhism emphasizes the concept of emptiness, which among other things asserts that form is empty, that all phenomena in the world are illusory. On the other hand, a prodigious amount of artwork has been created in association with Zen thought and practice. A wide range of media, genres, expressive modes, and strategies of representation have been embraced to convey the idea of emptiness. Form has been used to express the essence of formlessness, and in Japan, this gave rise to a remarkable, highly diverse array of artworks and a tradition of self-negating art. 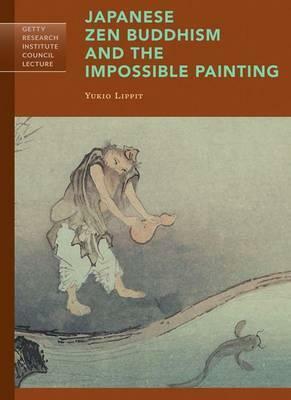 In this volume, Yukio Lippit explores the painting The Gourd and the Catfish (ca. 1413), widely considered one of the most iconic works of Japanese Zen art today. Its subject matter appears straightforward enough: a man standing on a bank holds a gourd in both hands, attempting to capture or pin down the catfish swimming in the stream below. This is an impossible task, a nonsensical act underscored by the awkwardness with which the figure struggles even to hold his gourd. But this impossibility is precisely the point. In Zen work, an existential contradiction, Mumon’s “red hot coal,” sticks in the student’s throat; the inability “to swallow it or spit it out” precipitates a crisis to be resolved through an insight that is simultaneously an existential gesture. “If I am whole and complete as I am, why do I feel ignorant and incomplete?” might be one formulation of the conundrum, though encoded in a ritual question like “What is the sound of one hand?” The greater the contradiction, the greater the tension — ”doubt mass” — and the greater the breakthrough, according to Zen tradition. This entry was posted on Friday, February 1st, 2019 at 2:19 am	and is filed under alcohol, art, book, Buddhism, Charles Cameron, fool, games, japan, koan, mental health, Uncategorized, void, youtube, Zen. You can follow any responses to this entry through the RSS 2.0 feed. Both comments and pings are currently closed. Zenpundit is a blog dedicated to exploring the intersections of foreign policy, history, military theory, national security,strategic thinking, futurism, cognition and a number of other esoteric pursuits.